NEWS – Couplamatic Systems Inc. Here you’ll get a sneak peak at all of our upcoming events, product lines and more. Anything new or news worthy, you’ll find it all here. Have a look below. We participate in a number of Trade Shows across the country each year. We’d love to see you there. See below for dates and cities. See our newest product lines below. 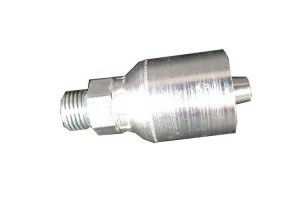 Couplamatic Systems, Inc. is proud to announce the release of our Hydraulic Quick Coupler Line. Available the 1st quarter of 2018. Couplamatic Systems, Inc. is proud to announce the release of our A series hydraulic coupling. Our NEW CATALOG is now available online. Find exactly what you’re looking for in our full color, in-depth catalog. Available for online viewing and download. In the business for over 50 years, we're here to bring you the highest quality, most rigorously tested, American made hydraulic components on the market. Have a look at our in-depth Catalog, available for online viewing and download. Click Here.